Big, book-nerdy things are happening in the Great White North. Margaret Atwood's behind-the-scenes pics of Alias Grace are everything you never knew you wanted. The Canadian author has a role in the Netflix-CBC miniseries adaptation of her 1996 novel, and she's got plenty of sneak peeks to share with her fans. Alias Grace is Atwood's novelized account of a sensational 1843 trial, in which Grace Marks, a 16-year-old Irish immigrant, was found guilty of murdering her employer, Thomas Kinnear, and his housekeeper, Nancy Montgomery. Marks' supposed accomplice, a stable hand named James McDermott, was also convicted and hanged. Because she was a pretty, young woman, however, Marks soon found her sentence reduced to life in prison. The Netflix-CBC miniseries stars 11.22.63's Sarah Gadon as Grace Marks. True Blood star Anna Paquin will portray Nancy Montgomery, opposite Paul Gross' Thomas Kinnear. Zachary Levi — A.K.A Flynn Rider — will also star, but his exact role has yet to be announced. The Alias Grace miniseries isn't the only Atwood adaptation project in the works. Hulu is hard at work bringing The Handmaid's Tale to life, with Elisabeth Moss and Samira Wiley set to star as Offred and Moira. 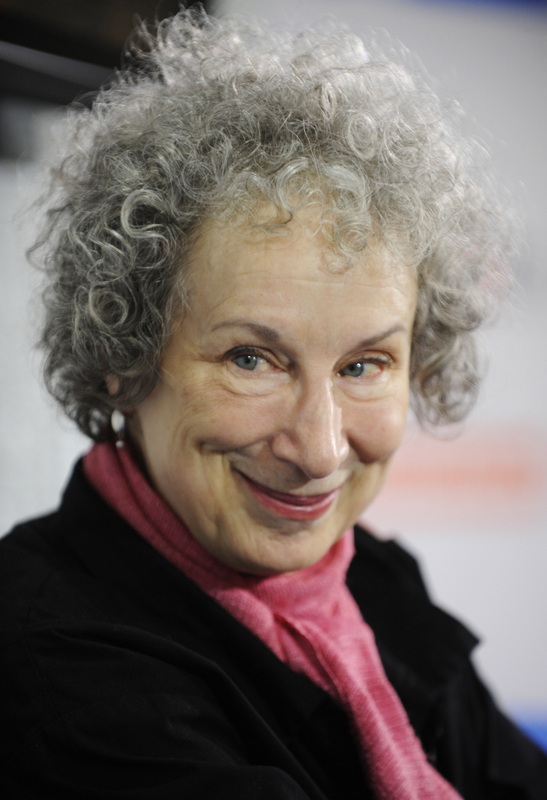 Atwood scored the part of the Disapproving Woman, who, it seems, can stop you in your tracks with her withering stare. Check out Margaret Atwood's behind-the-scenes pics of the Alias Grace set below, and bask in that 19th century costuming glory. Netflix and CBC's Alias Grace miniseries is expected to premiere in 2017.